Electrical boxes installed into walls can be a significant source of air leaks. 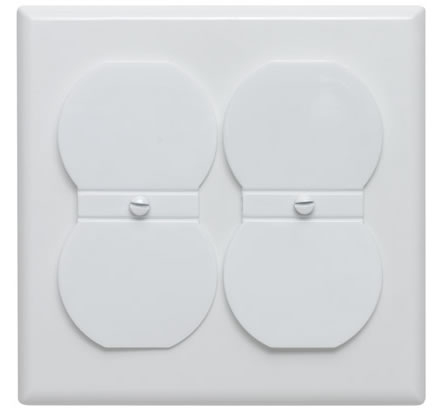 These rigid plastic insulated electric outlet covers have a pre-installed foam gasket on the back and a hinged socket cover on the front, resulting in a safer electric outlet that minimizes air leaks. 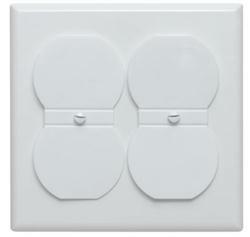 The hinged socket cover may be fully removed if both outlets are being used. Use with either 2-prong or grounded 3-prong outlets in single-gang electrical boxes. Ivory.